Showing agents and owners will both benefit from having the correct access details. You can update your listings to include the alarm code, lock-box details, and even notes about pets. The showing agent will be able to plan ahead with their buyer to prepare for that crated kitty or dog in the backyard. Knowing where the lock-box is and what to do with the lights after the showing, creates a positive experience that might entice faster feedback responses. 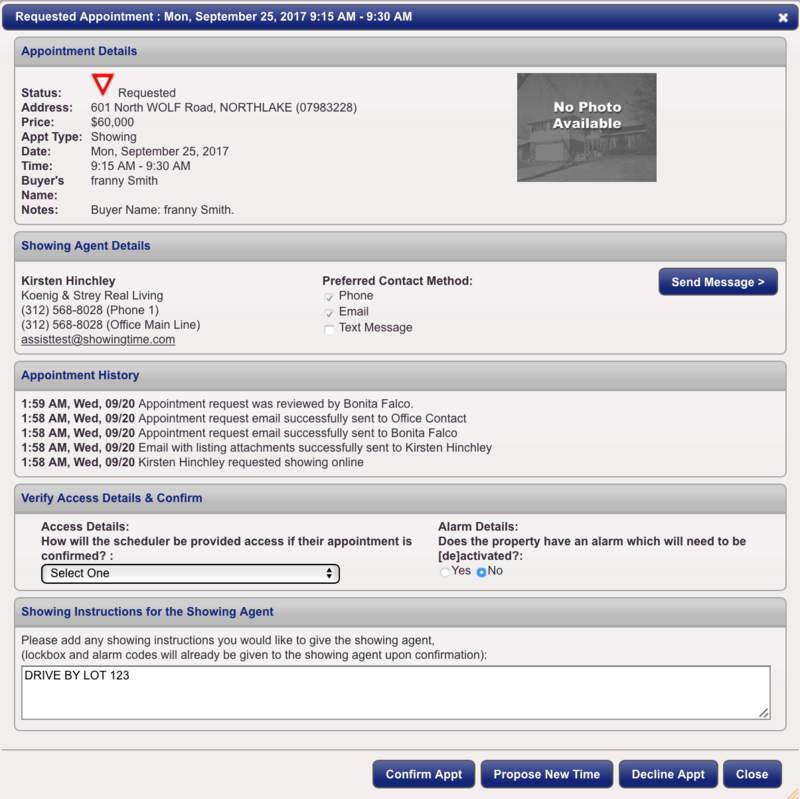 The listing worksheet contains the contacts and settings that allow appointments to take place on the listing. The Access information section of the worksheet can also help a showing to occur. You can update the Showing Instructions, Access details, and alarm notes to make sure that the owner and agents are prepared for the showings. Note: You can also confirm the access information when confirming the appointment. When a showing is scheduled on your listing you can confirm the access details for those appointments that are not set to go and show. You can click on the Reports section of the main menu or the More Details link in the email. 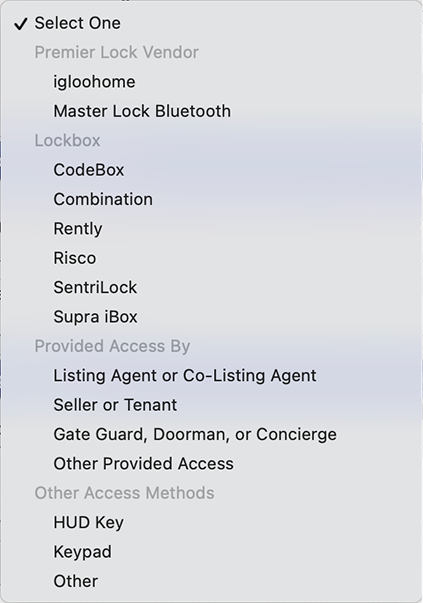 The drop-down box will contain a list of the access possibilities. When you select one, additional text boxes will be shown for you to add details.